Register Log In ECN Forum Forums General Discussion Area rats! and they nibble them along the way, sometimes right on down to the copper to where all 3 (12-2 say) are completely bare , and in perfect formation like the insulation simply vaporized! i wonder what attracts them? is it the emf? the simple fact that the wiring provides a pathway? the particular material of NM providding a satisfactory knawability? You're going to laugh ... but I was told that the insulation once was (but no longer is) made using soybean byproducts .... which served as a rat magnet. Supposedly the new stuff is not nearly as tempting a dish. What's needed is a 'Critter Abatement Technician,' or, perhaps, a 'FEline Replacement Rodent Eliminating Technician.' Good luck. I have seen where they only stripped the phone and alarm wires, while leaving the romex alone. But not always, some will eat it all. I guess there's just picky eaters in the rat world too! The worst is when you are hammering in staples on a joist and turds are falling all over your head and dropping into your tool pouch. Always remember to keep your mouth closed! 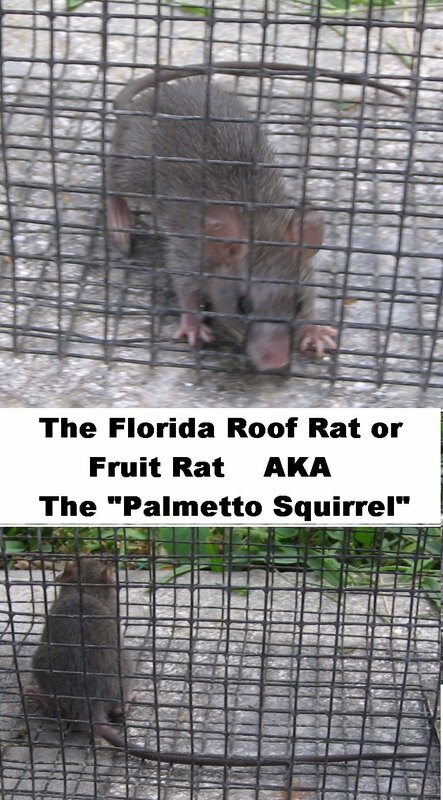 With the recession, we are seeing lots of homes that have sat abandoned for 1 to 2 years now and the pack rats have taken over. Last edited by BigB; 07/24/10 01:24 PM. Reno, it looks like rattus rattus to me. is that a live shot with a live mouse??? how did you do it? Some years back I had a paging system that a number of speakers stopped working. 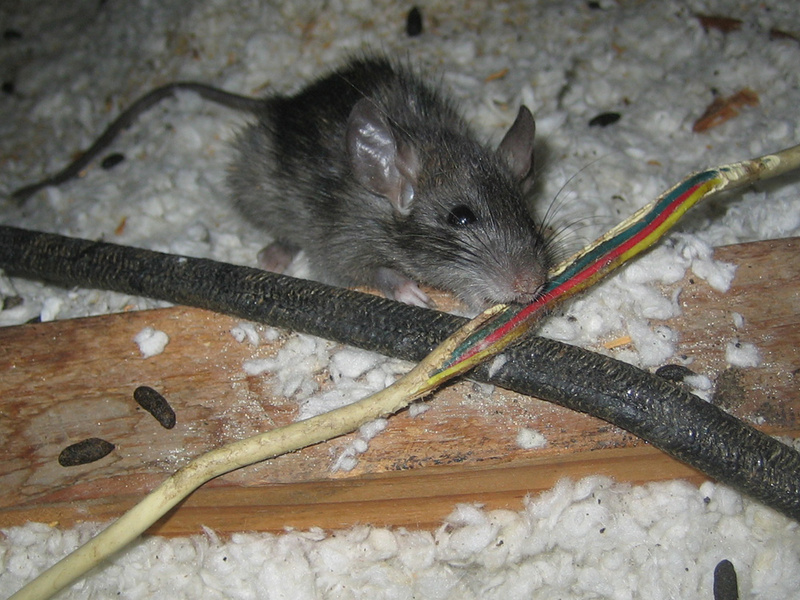 Upon inspection, the rats had eaten the green wire from the 70v transformer to the volume control, JUST the green, where I used red or blue, they passed. Same wire, just different colors. Also squirrels will eat the lead roof jacks. Strange. the kind with tails, not suits, right? is that a live shot with a live mouse??? Rodents of all types and forms have a need to gnaw on anything they can find, it keeps their front teeth in check. This is why you might find the hardest of things around have been chewed on where there are rats, squirrels, etc. I remember an old guy from Canada telling me this some years ago. He said if a rodent isn't able to gnaw on something to wear it's teeth down, it can actually die from mal-nutrition from not being able to eat properly. I think they are attracted to the warmth of a loaded cable, can or transformer. I see lots of tunnels near the sub feeds and have found dead ones curled up by the doorbell transformer (not before putting my hand down on it first...eeeeeeoowwwwweee....poor little guy. The tooth growth thing explains the chewing. Last edited by ChicoC10; 07/29/10 10:40 PM. We used to have mice as pets; in addition to the typical food, you would provide them with "chew sticks" to work their teeth on. From what I remember (this was a few years ago) their teeth grow pretty much constantly, and if they aren't worn back down they can become impacted and cause all kinds of nasty problems, including them receding into the skull.